Update June 23 - Don't forget to redeem this coupon this weekend! I got mine in the mail today! Originally posted May 10 - Freebie alert! 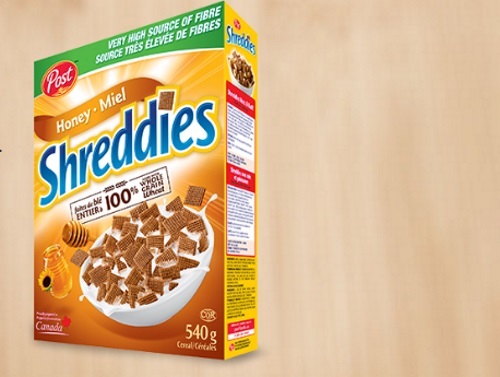 Request a coupon for a Free box of Shreddies Honey Cereal! Get some honey for your honey! Click on the link below and log in with either Facebook or Twitter, then click on the link that says "send my free box first" and fill out the form to send it to someone. Pair up with a friend and get them to send you one too! There are 50,000 available. Available while quantities last. Limit 1 per household. Coupons will be sent by June 14 2016 and are redeemable on June 25-26 only. Quebec is excluded. Click here to request your Free box of Shreddies.